Pelicoin offers a reliable, safe, and secure way to buy cryptocurrency. This Jackson, MS Bitcoin ATM allows users to buy Bitcoin, Litecoin, and Ethereum at the touch of a button. Interested in buying cryptocurrency in Jackson, MS? Pelicoin ATMs offer a reliable, safe, and secure way to buy Bitcoin (BTC), Litecoin (LTC), and Ethereum (ETH). Our ATMs are fast, simple to use, and conveniently located in stores or gas stations that are open late, so you can always have access to your finances. To find this particular ATM, go to the Fast Lane gas station on E Northside Dr. in Jackson, Mississippi. 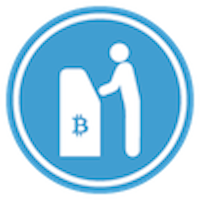 Pelicoin Bitcoin ATMs take the confusion out of cryptocurrencies. We make purchasing Bitcoin in Jackson as simple as walking to the store. Our ATMs are built with a similar layout to traditional ATMs, making them intuitive and easy to use. Our goal is to make finding and buying digital currency as easy as possible. We've set up over a dozen ATMs all across the South. We offer straightforward, step by step instructions throughout the buying process, so that you know your money is safe. No matter what your plans are for your Bitcoin, Litecoin, or Ethereum, the easiest and simplest place to start is at your nearest Pelicoin Bitcoin ATM. Cryptocurrencies are a great investment, or they can be used like other currencies to buy goods. More and more businesses are accepting Bitcoin and other cryptocurrencies as a viable legal tender as the technology gains in popularity. Step into this Jackson, MS and buy crypto today.